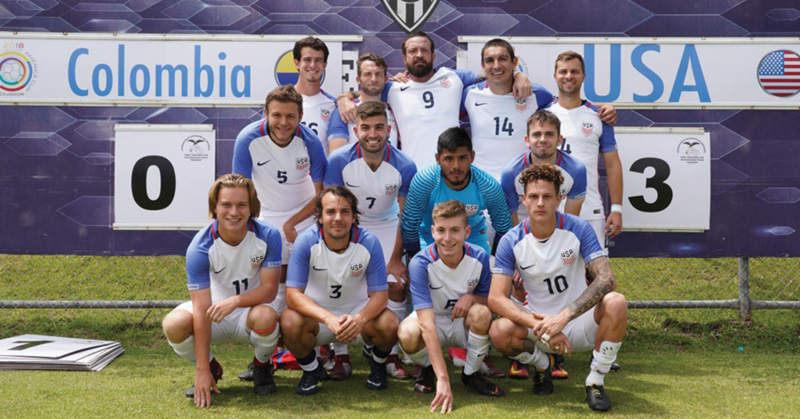 Tuesday, January 29th, 2019 -- Two Arizona players have been named to the U.S. Para-7-a-side National Team as the team comes together for the first training camp of 2019 from January 28 to February at the Premier Sports Campus in Lakewood Ranch, Florida. The two Arizona players at the camp are John Sullivan (Flagstaff) and Gavin Kohner (Peoria). This is a big year for the Paralympic team as it will compete in two major international tournaments. July's IFCPF World Cup in Sevilla, Spain and August's ParaPan American Games in Lima, Peru. Sullivan helped the U.S. qualify for the World Cup back in November when the U.S. finished third at the IFCPF Copa America.